Explore at your leisure–the magnificent mountaintop city of Machu Picchu and the temples, altars and ceremonial sites of Cuzco and the Sacred Valley. Imagine yourself enjoying the beauty of the lush and fruitful Sacred Valley (Valle Sagrado) with its rolling hills and profusion of colors and textures. 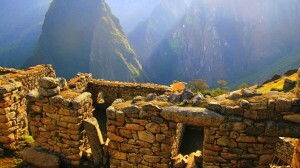 See yourself stepping into the ancient world and following the footsteps of the Inca and Pre-Inca civilizations. 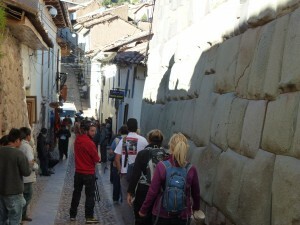 Feast on the charming colonial architecture of Cuzco, its stunning cathedrals, varied restaurants, interesting shops. 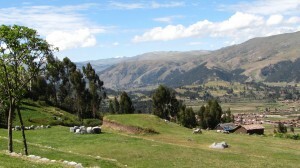 The Incas believed Cuzco was the navel or center of the universe. Today, it is believed the main energy center of the planet (know as Kundalini) runs through the Andes Mountains crossing at Machu Picchu and pouring down in the Sacred Valley. There is something very special about Peru that calls many more people every year to visit. Many people who make the journey to Peru report feeling revitalized, healed, restored, and in a state of greater clarity. With over 24 years of success and fun guiding people to sacred sites and power places around the world, we know how to make sure you feel cared for from the minute you arrive. Our small groups allow for intimacy and privacy. You are unique and the basic training in Spiritual Archaeology we provide assists you to access the healing, wisdom and transformational powers of the sites. 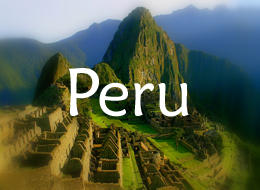 Peru, its people and culture has inspired us to spend extended periods of time in the country, interacting with the people and learning about their customs and culture (3 months in 2011). We have many excellent service providers to draw from, and only choose the best. We believe in giving back to the Peruvian people and a portion of our proceeds is donated to causes and people in Peru. Click here to see our current recipients. We visit natural, fragile, pristine areas and protected areas, archaeological sites, cultural heritages sites. Our visits are done on a small scale and are structured for low impact as an alternative to commercial tourism. Travelers are educated about the environmental sustainability and become familiar with the delicate environments they visit. Personal Growth is the focus of the journey. Spiritual Archaeologists are aware of the impact of human beings on the environment and have a great appreciation for our natural habitats. Respects local cultures and indigenous people and honors them as the primary stewards of their land and monuments. Does not override or overlay traditions, ceremonies, rituals and customs practiced and maintained by local people. Provides direct financial benefits for conservation and/or to benefit local people or causes in the locations visited. Our journeys offer the ultimate in easy, graceful transitions nestled in a comfortable rhythm. Wonderful people travel with us, and a diverse array of presenters and guides join us. Forget everything you have read and heard about Peru – this is your journey – allow Peru to reveal itself to you. Small groups of 10-25 people travel together in modern air-conditioned vans, busses and trains. Explore the markets, mountaintops, ceremonial sites and the temples of this fabled land in a leisurely, unhurried manner. We support you to find your power places at the sites rather than telling you what to do or where to go. Our journeys are a passageway or channel taking you to the next octave of your life experience. We go slowly and have plenty of time to explore and relax at each of the sites. Write, meditate, pray, take photographs, listen, touch, use your insight or intuition or simply breathe with the earth (Pachamama). WHAT WE DO WHEN WE GET THERE? 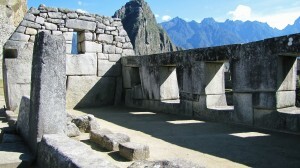 We rest, we learn (Spiritual Archaeology), we go visit the sites. We know each person has a unique purpose for choosing to visit Peru. Our Spiritual Archaeology training – that happens on-site – gives you the tools to tap into the healing, wisdom and transformation power of sacred places. We are enriched by the culture and customs of the Peruvian people. 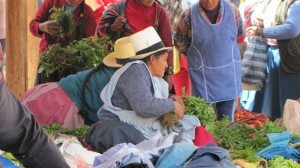 We connect with the land and the people–Peru becomes a part of the fabric of our lives. We schedule a few journeys a year to Peru. Click here to see current offerings. We choose the times of year when the climate is luscious and we can thoroughly enjoy the outdoors. 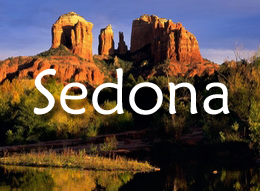 We also customize (traditional or spiritual) journeys for organizations, groups, individuals and practitioners. who have groups or a network of their own.